Helping America's low-income families build assets is one of the most cost-effective and sustainable improvements we can make as a society. 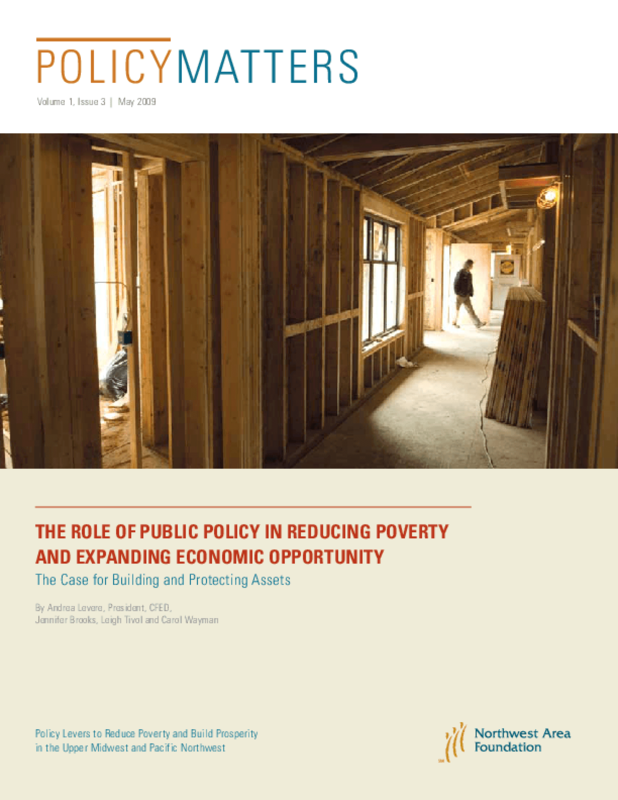 While policymakers seeking to reduce poverty have traditionally focused on income, spending and consumption, a new vision has steadily gained prominence in recent years, focusing on savings, investment, and asset-building policies that work in conjunction with, not instead of, traditional anti-poverty policies and programs. Copyright 2009 Northwest Area Foundation.